email, launch the remote diagnosis, and check for software updates etc. 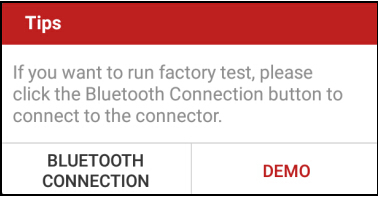 Enter X-431 Diagun IV Bluetooth setting screen (“Settings” -> “Bluetooth”), slide the Bluetooth switch to ON and X-431 Diagun IV will start searching available Bluetooth device, tap the desired connector to pair. By default, the Bluetooth name is 98729*****00 (where ***** stands for 5 digits.). Follow the steps mentioned below to start a new diagnostic session. Tap “Diagnostic”, and then tap a corresponding diagnostic software logo. 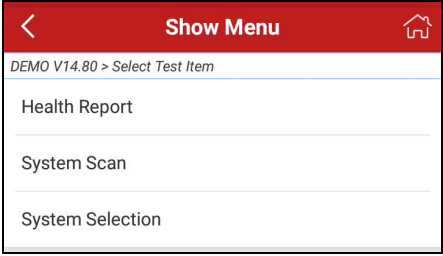 Take Demo as an example to demonstrate how to diagnose a vehicle.